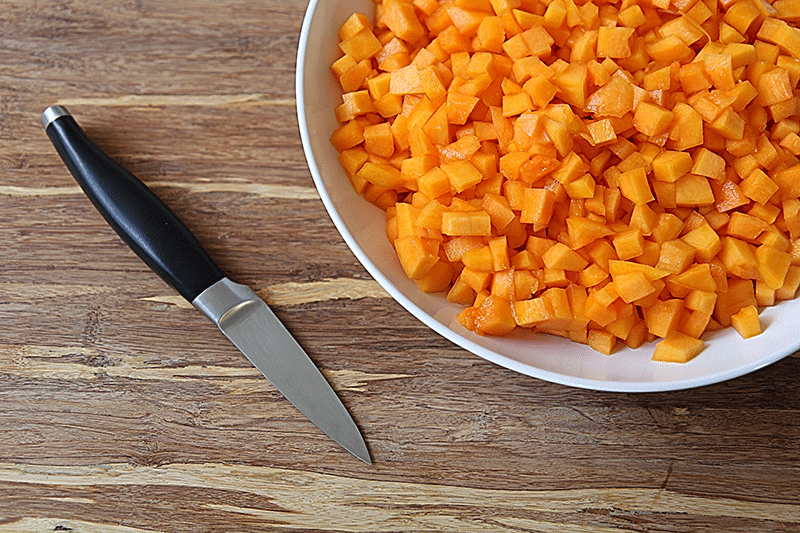 The day before, cut the butternut squash into cubes of about ½ inch to the side and put it to soak in sugar overnight, covered with a sheet of plastic wrap. When the squash is well macerate, melt the butter in a saucepan, add the cayenne pepper and the garlic and sauté for a few minutes over medium/low heat. 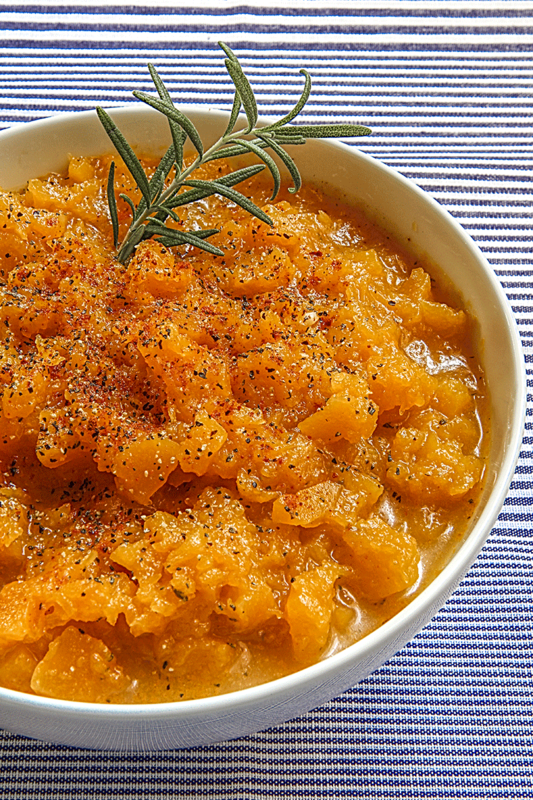 When the garlic is soft, add the finely minced rosemary, and then the butternut squash. Brown the butternut squash 5 minutes over high heat, stirring with a wooden spoon. Now add boiling water to just cover the squash, set the heat at low level, cover with a lid leaving open a chink and let cook for about 40 minutes. 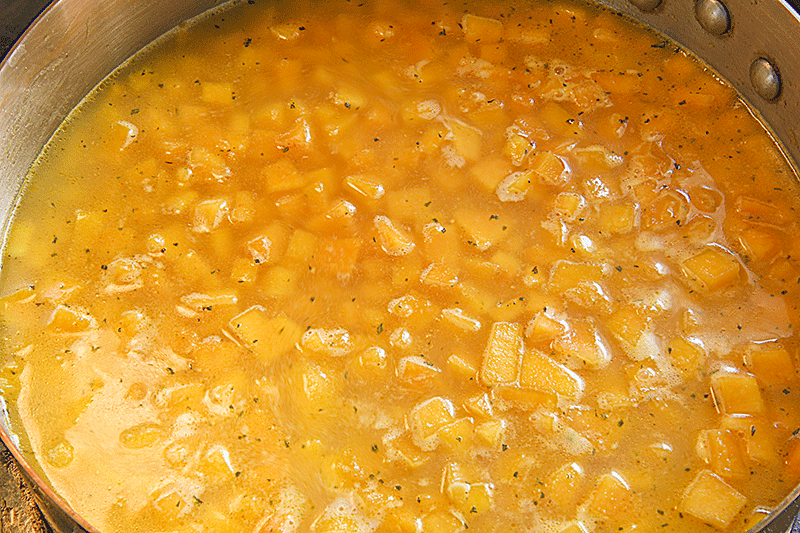 When the water has almost entirely evaporated and the result is partially creamy the butternut squash compote is ready! 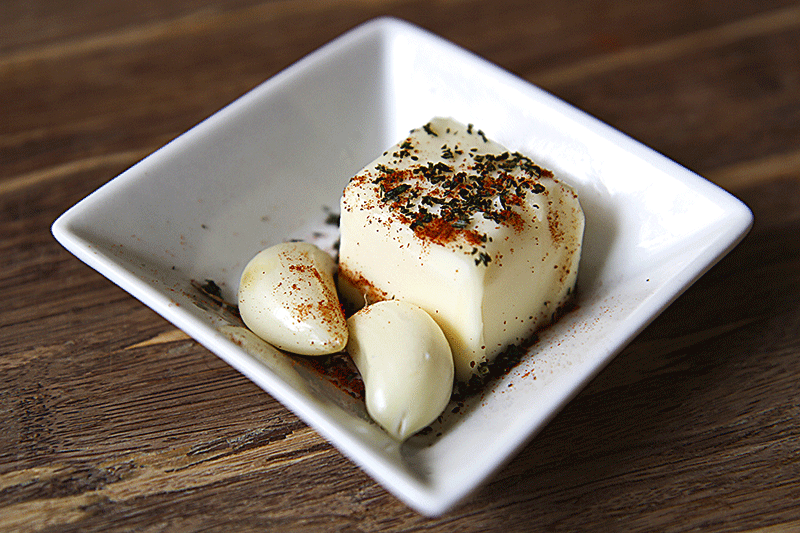 Finally season with salt, cook 5 minute more and let it cool before serving or conserve vacuum in sterilized glass jars.